People with Asperger’s Syndrome have difficulty with the social aspects of life and often have inappropriate responses to social situations. 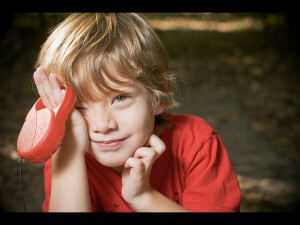 One of the major problems for children with Asperger’s Syndrome is understanding social cues in a given situation. Parents often struggle trying to find the best ways to help their Asperger’s child; it takes time, patience, practice and compassion. While many parents notice something unusual in their child quite early, most try to explain “unorthodox” behavior of their child by all possible reasons except for the most likely one. When the fact that something is wrong becomes obvious, parents bring their child for psychological assessment. Accepting the diagnosis is a very difficult step. Denial that your child has Asperger’s will not help, the sooner you accept the reality, the better for you or your child. Do not coddle or shelter your child from any situation that might set him/her off. Exposing your child to social situations will allow opportunities for both of you to work through them. With your guidance and over time, your child will be able to learn what the appropriate behaviors are in various situations. In addition, learn what your child’s triggers are to better prepare yourself to diffuse or alter a possible meltdown or display of undesired behavior(s). Be clear in your explanations of expected and/or desired behaviors when the situations arise. Do not expect that your child should know how to behave in different social situations and settings. Walk them through (thoroughly, but with the use of age-appropriate language) appropriate behaviors as well as emotional responses in accordance with the given social situations. You will have to repeat your explanations, but with time, your child should have a better understanding of the social skills necessary to achieve positive social interactions in diverse situations. Behavioural difficulties are common in children who have ASD, but with the right strategies and support, they can often be mitigated through effective management. There are myriad reasons for these difficulties, such as issues with communication, sensory processing, social interaction, and balance issues which affect active play. It’s vital that parents and caregivers understand these behaviours are not their “fault”, they are merely symptoms of the underlying difficulties the child with ASD is facing. Difficulties with communication: Children with ASD typically struggle with expressive language, understanding what is being said to them, and picking up on non-verbal communication cues. This can, understandably, become quite frustrating and provoke problem behaviours. Difficulties with social situations: The difficulties presented by social situations for a person with ASD go beyond just communication; people with ASD also struggle to understand other’s points of view (inflexible in their opinions), and grasp the “unspoken rules” of social interaction that state when to, for example, end a conversation. Due to all of this, children with ASD may shun social contact, and they are more likely to experience bullying. Difficulties with unstructured time: People with ASD have a hard time dealing with situations where there is no set schedule, as their brains have a hard time sequencing activities on their own. For this reason, children with ASD are more likely to act out during recess or other break times, as they feel confused and frustrated. Difficulties processing sensory information: Those with ASD often have over or under-sensitive senses, leading to a tendency to get overwhelmed or to seek stimulation to a problematic degree. They may react strongly to touch, be very picky eaters, get overwhelmed by loud noises (or be unable to concentrate over background noise), etc. Additionally, one should always remember that people with ASD do not easily adapt to change; always be on the lookout for things in their environment or schedule that have been altered, as this may trigger problem behaviours. Illness (especially seizures, which ASD individuals may be prone to) can also trigger acting out, as the child with ASD cannot easily vocalize his or her pain. Consider using diagrams to help children express where they are feeling pain. My child’s behaviour has changed suddenly; what should I do? First off, have the child seen by a doctor. 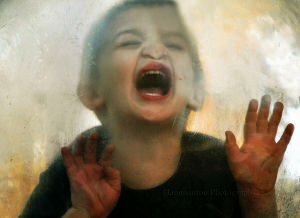 Children with ASD sometimes can’t identify and/or vocalize their feelings, so may not be able to express the pain caused by a medical condition that has arisen quickly, making it important to rule such out. Once medical issues have been found absent, assess whether or not changes to the child’s routine or environment have happened recently. Remember that even small changes, such as re-arranging a room or changing lighting or shampoo brands, may upset someone with ASD and bring out “coping behaviours”. My child doesn’t understand physical boundaries and tries to hug strangers; what should I do? Remember that social boundaries are very challenging for someone with ASD to grasp; they quickly assume what is okay at home or with friends is okay as a general rule. To combat this, try writing a “social story” (with pictures if possible) explaining why people hug friends and family, but not strangers. A comic strip style of format is often ideal for these. Try to teach more appropriate ways of showing affection to strangers rather than just limiting the problem behaviour, as those with ASD should be encouraged to interact socially as much as possible/enjoyable. Suggest waving to strangers instead, for example, or holding the door open for them. Reward the child for practicing these alternate skills. Consider conducting a general social skills “training course” for the child, explaining in story form why people greet each other in the ways they do, part as they do, etc. My child gets very anxious during breaks and at lunch hour; how do I help her deal with this? School break times often stress those with ASD because they are both unstructured time and often involve sensory overload (noise from many children playing, lots of movement). Consider having a support worker stay with your child during these times and structure the break time around certain games each day to create a routine. You can also look for special support groups at the school for those with ASD that focus on teaching children social skills in a way they can handle. This way the child both develops a peer network and receives structure and support, with someone on hand to help her troubleshoot her particular issues with social interaction. Give your child methods for indicating her distress to staff if she can’t easily vocalize it, such as stress scales, so that staff know when it’s time for a “time out” from social situations. Likewise, teach your child healthy relaxation techniques to use during these breaks, such as listening to soft music or practicing deep breathing. If breaks are still simply too overwhelming, seek permission from the school for your child to spend them in the library or computer room.